Launched in 1886 as a proud product of the Mt. 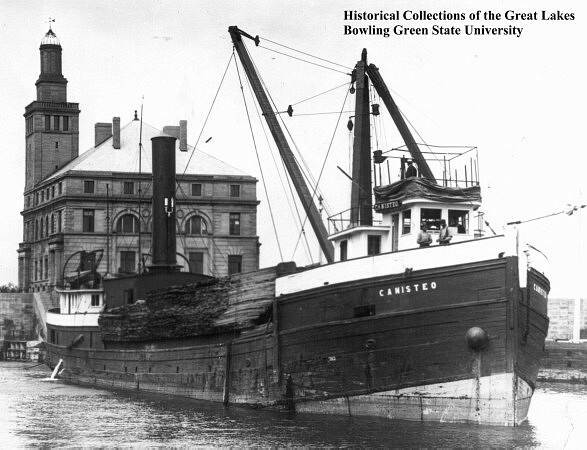 Clemons, MI shipbuilding industry, the Canisteo was a sight of a wooden steamer with a solid length of 191 feet. She served proudly on the Great Lakes for well over three decades. Sadly, in October of 1920, she was burned and scuttled, left to the mercy of the depths. However, this sad event has become a boon for divers on the lakes as she is an amazing wreck for intermediate divers to explore. Sitting at a nicely accessible 98 feet of water, her wreckage includes a four-bladed propeller, hull planking and framing. The observant diver may also see other small items like tools and a milk can. We visit the Canisteo from Port Sanilac.